Heart Scan is a portable ECG recorder that fits into the palm of your hand. After many years of research we have condensed a complete ECG unit into a compact, ergonomic, standalone and user-friendly device that you can carry with you at all times. So how does it work? When you feel the symptoms of a heart problem – transient cardiac events – reach for the Heart Scan and make a 30-second recording of your heart’s waveform, instantly and discretely. 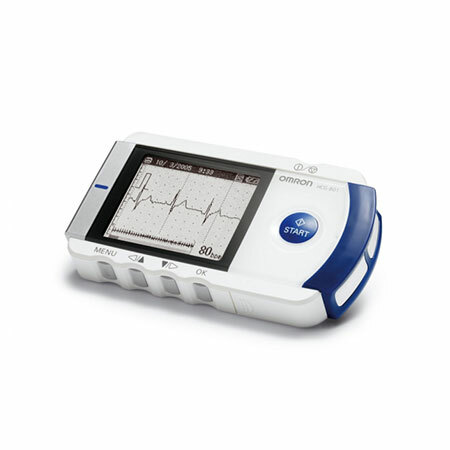 The unique features of the single channel Heart Scan ECG Monitor make this a versatile multipurpose tool for medical professionals. The cordless operation and direct on screen display allows a quick scan of the heart condition. The ECG analysis provides information on heart rate, rhythm and the ECG waveform. The single lead recording runs for 30 seconds and includes a multilevel display of deviations from the norm as well as the date and time of the recording, the heart rate and the short cut analysis. Due to the compact design the device fits in a white coat pocket or doctor's bag.